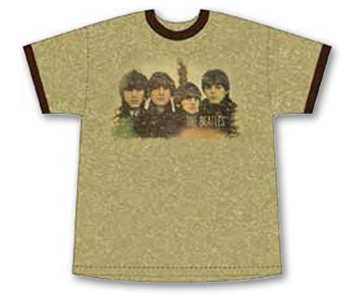 Short sleeve, tan, ringer T-shirt with photograph of 1960's photograph of the Beatles. Made of 100% cotton. All Beatles merchandise is officially licensed.